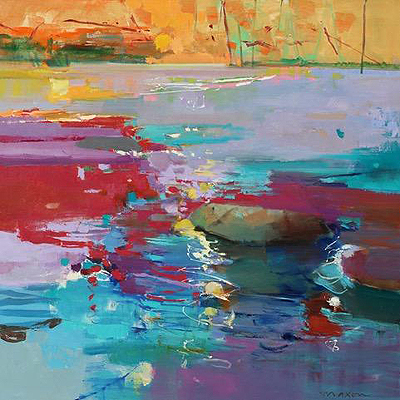 Coming from a very western tradition, living on a working ranch in Greybull, Wyoming, John Maxon developed an expansive view of nature and the spiritual essence it imbued. 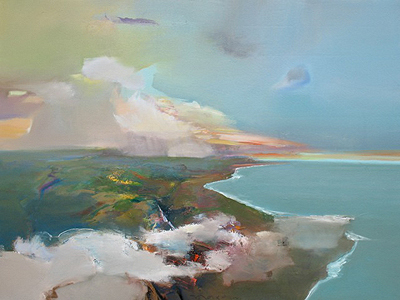 The billowing clouds, ominous landscape and dramatic contrast of light within his home state brought daily joy to John as he grew up. 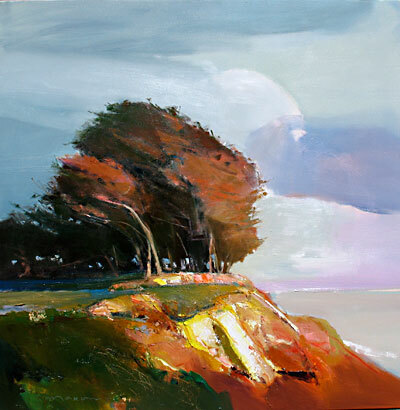 It was in Wyoming then Arizona and eventually the San Francisco Bay Area that John's delight in the effects of light and color led him to become an artist. 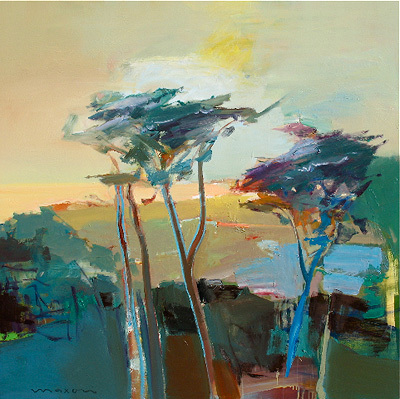 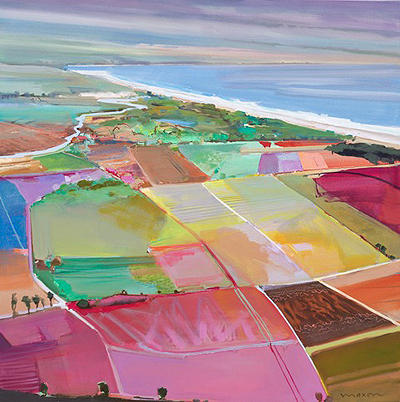 John Maxon spent his early days as an artist painting in the fields behind Stanford University, and was fortunate to be exposed to and study the works of Nathan Olivera, Wayne Thiebaud and David Park during those years. 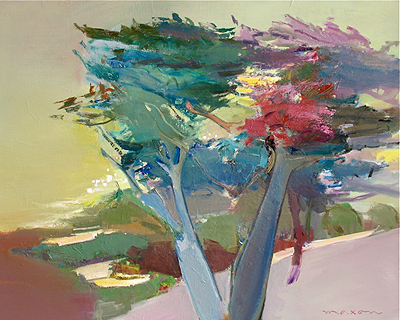 He attended San Jose State University and studied with Sam Richardson and John Battenberg primarily learning sculpture techniques. 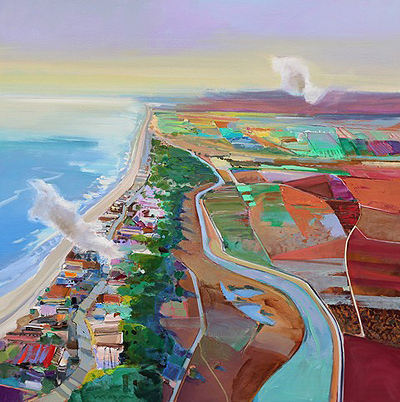 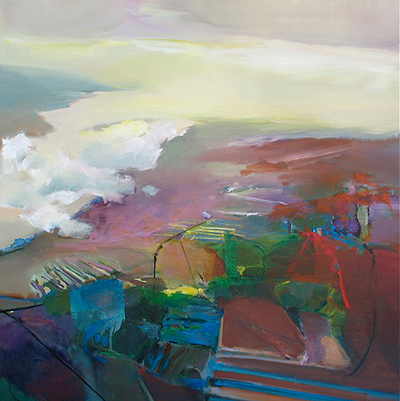 With Roy DeForest, William Wiley and Wayne Thiebaud as his instructors in graduate school at UC Davis, he explored many variations of techniques and styles. 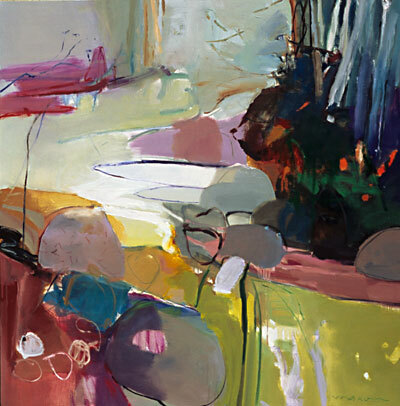 The exposure to these highly successful and professional artists at that time gave him a strong awareness of the degree of dedication required to make a career of painting. 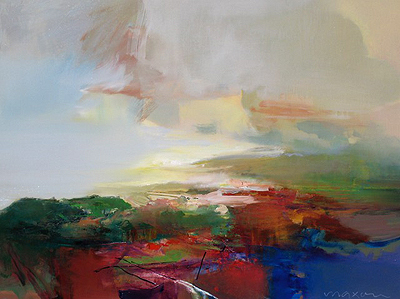 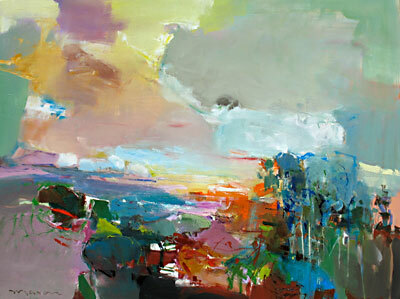 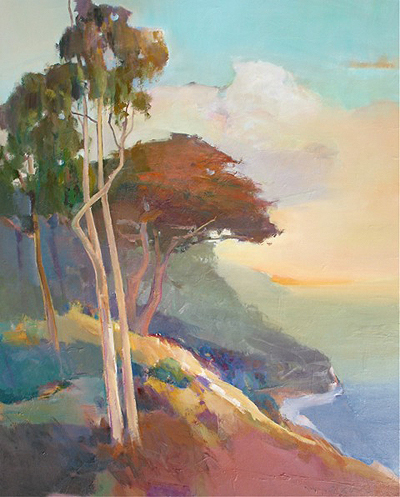 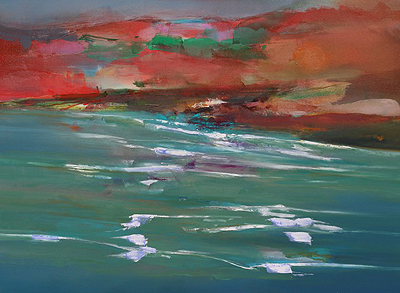 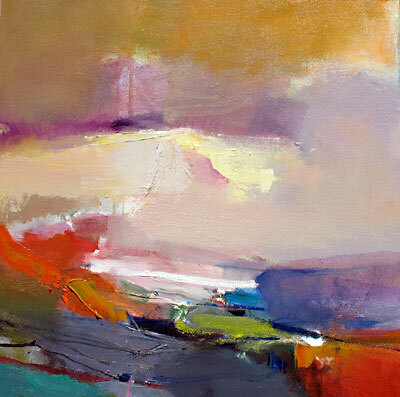 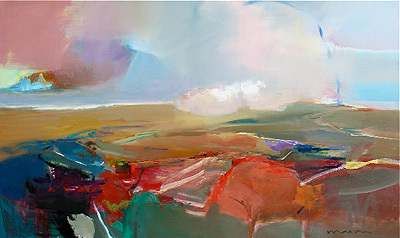 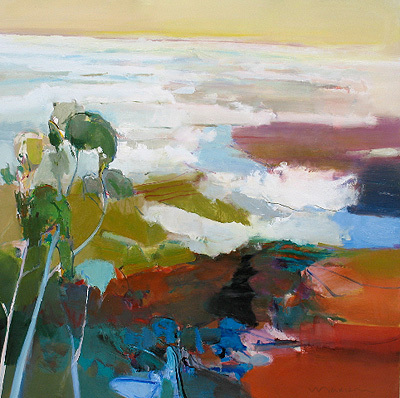 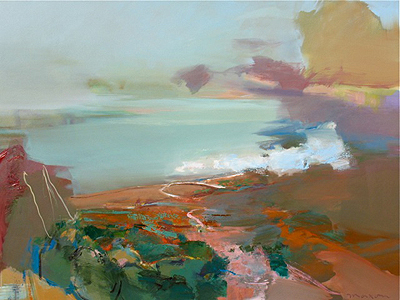 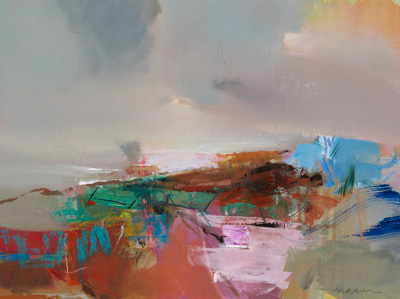 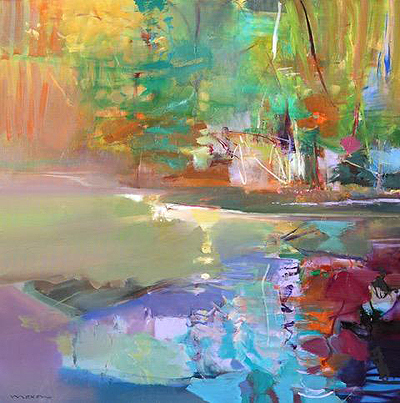 John's landscapes capture the essence of the landscape and light without attempting to mimic nature. 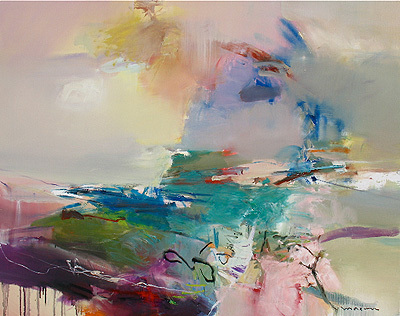 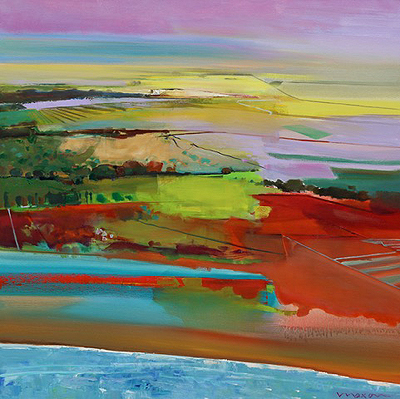 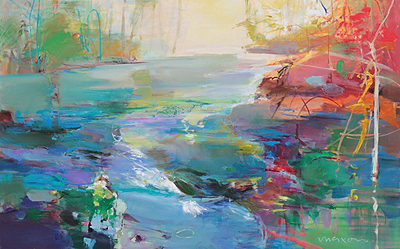 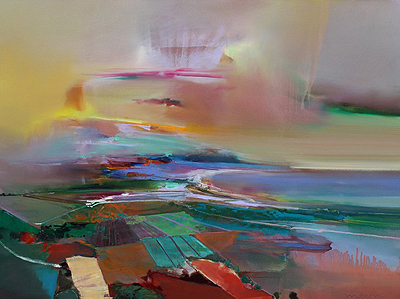 On very close inspection the canvas is richly underpainted and the painted language he uses to describe the landscape is very active, colorful and abstract. 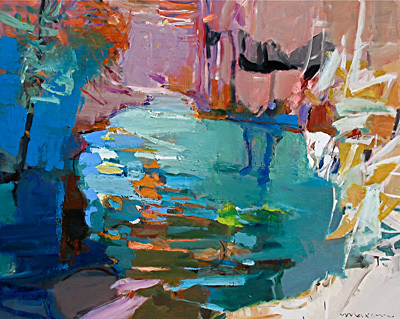 But as the viewer steps away from the piece the overall quality of the figurative elements come clearly into focus. 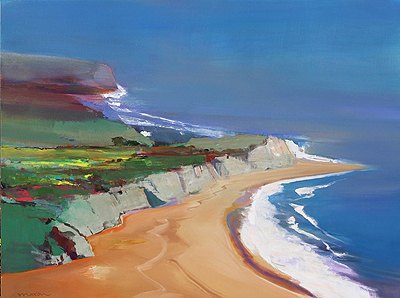 Sweeping panoramas of the Napa Valley, the California coast and forested canyons are John's favorite subjects. 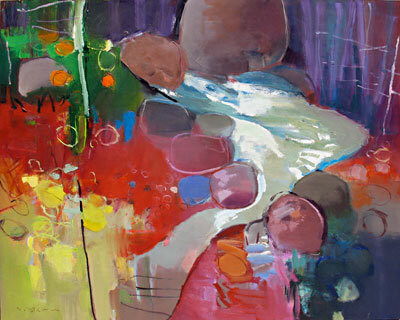 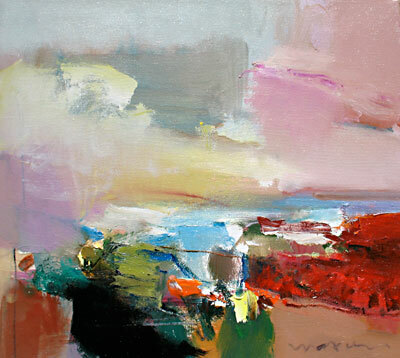 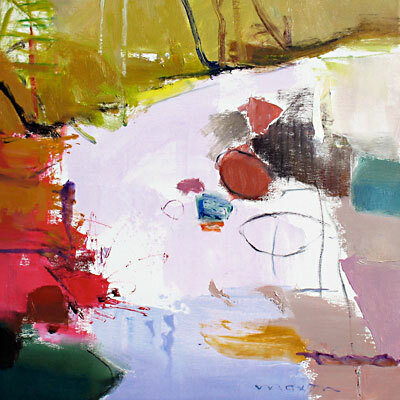 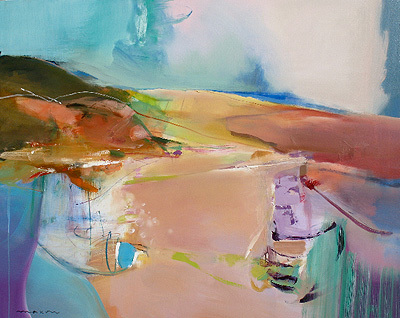 More recently he has begun to explore the still life in his work with a wonderful sense of design and color.